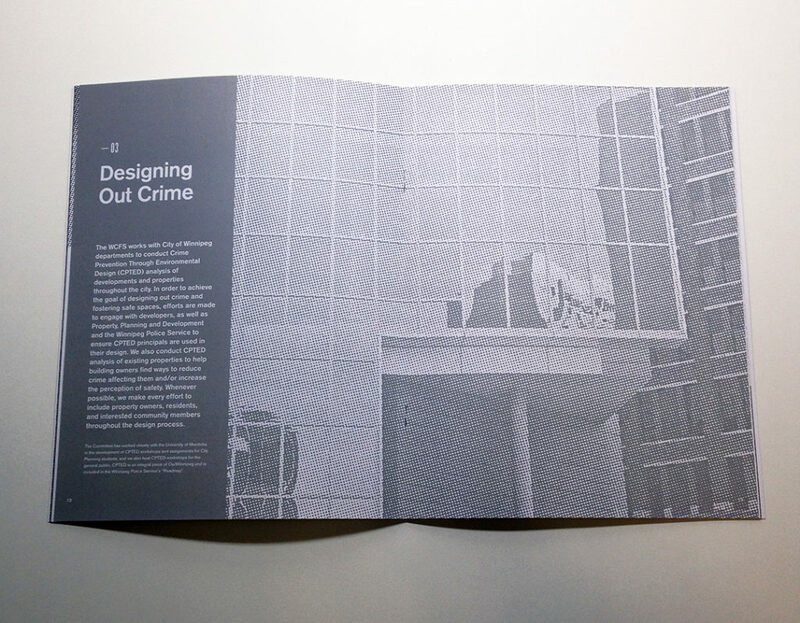 We’re proud to announce that our Annual Report for the Winnipeg Committee for Safety is a Veritiv uVU Design and Print Excellence Award Winner. Our senior graphic designer Ryan Story was the lead art director and designer of this piece, also featuring the photography of Steven Ackerman and Jerry Grajewski. It will be hitting the road in the Veritiv uVU travelling exhibit spanning five cities, from Montreal to Vancouver. 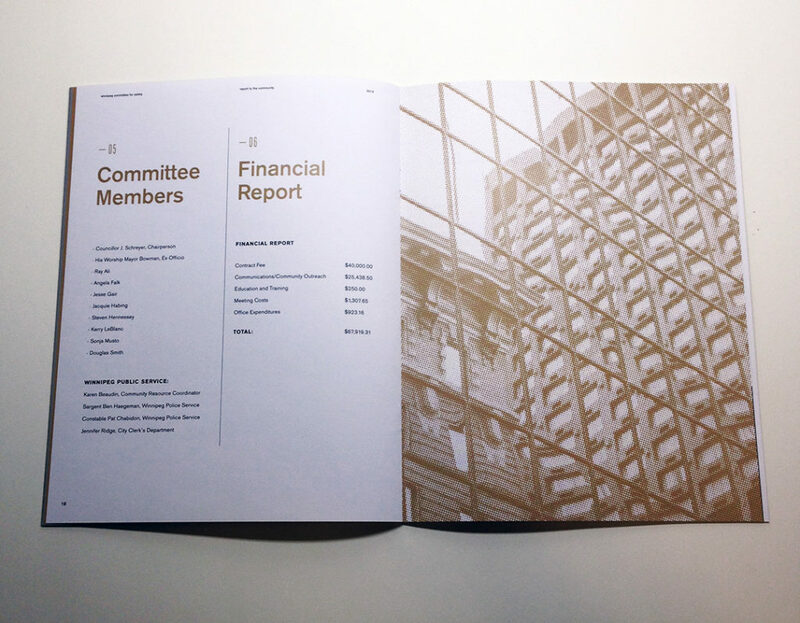 The objective of this annual report was to clearly communicate the ongoing initiatives of the Winnipeg Commitee for Safety in a sophisticated and engaging manner through the use of interesting production methods, like gold and silver metallic inks, combined with a modern design aesthetic. 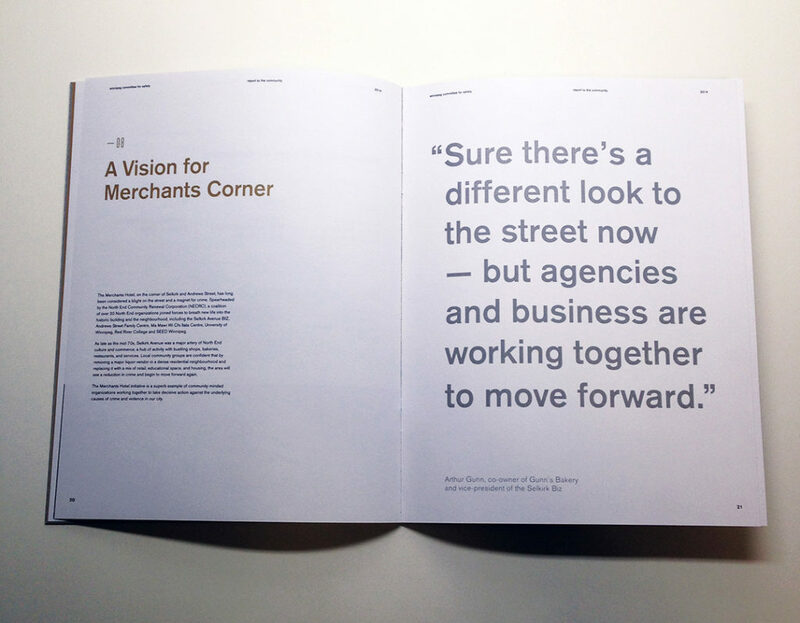 We wanted to produce an eye-catching report that would behold the interest of the Mayor and Council members, something they would want to hold on to. 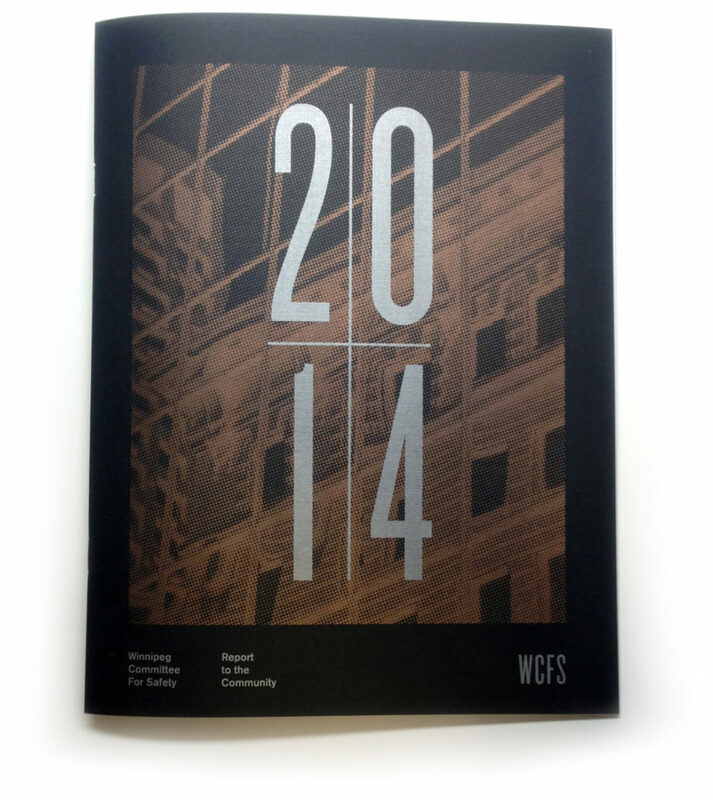 A slick-looking report like this further elevates the professionalism and respectability of the WCFS in the minds of people who are involved in helping the WCFS make the city of Winnipeg a safer place to live.